The Fantasia F2 Rechargeable E-Hookah Liquid Flavor Tank is a replacement part intended for use with the Fantasia F1 or F2 Rechargeable E-Hookah Starter Kit. 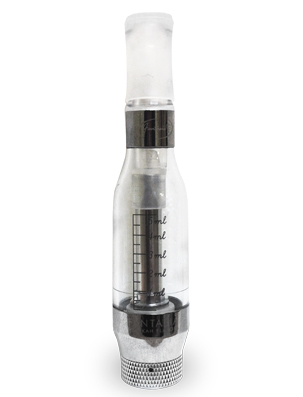 The F2 E-Hookah Liquid Flavor Tanks are meant to be replaced over time and it is recommended that one flavor tank be used per E-Liquid flavor to ensure the best e-hookah smoking experience available. This promotion will allow you to invest in the Fantasia E-Liquid Flavors without having to spend additional funds on the Fantasia Rechargeable E-Hookah Pen Starter Kit. For more details regarding the Free Fantasia Rechargeable E-Hookah Pen Starter Kit Promotion, please click here.